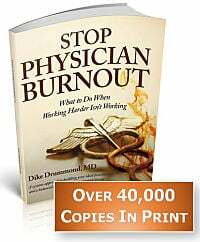 In my work with hundreds of overstressed and burned out physicians I have discovered four main sources of the stress that causes physician burnout. Even though we added a fifth cause to the list just recently, these four main sources are the ones you really have to watch out for. ln the video training below I will show you these four distinct patterns - together they reveal the core causes of the modern physician burnout epidemic. NOTE: This video is just one of the 19 video mini-trainings in our Burnout Proof Mobile APP. Hello. Dr. Dike Drummond here in Burnout Basics video number four. 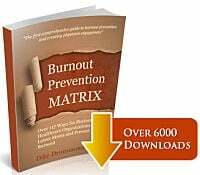 In this video, I’ll show you the four main causes of physician burnout, the four main stressors that drive your energetic bank accounts into a negative balance. One of the things that I want you to notice as we go forward that you only had experience with the first of the stressors in your medical education. The other three catch you off guard once you’re out doing your job. Let me tell you a story to show you what I mean. I have a friend whose name is John. He has a restaurant and actually has a very interesting restaurant where he has a sushi bar in the front where the plates float by on that little river. And you pick them out and eat them when you want. In the back, he’s got a Japanese steakhouse where they chop up the steak and toss it on your plate. If you’ve ever been to one of these, then I know you remember the onion volcano. Think about your job, about taking care of patients. Honestly, nobody wants to come and see you. Because the only reason they would is because they’re sick or scared, hurt, sometimes even dying. Nobody wants to come and see a family member who you’re taking care of. That’s always true because we work in healthcare. Not only that, but sometimes and I know this has happened to you, because it’s happened to me, sometimes really, really bad things happen. And it hurts. We’re all traumatized in the course of our training. We’re all traumatized at work. It’s predictable. And I know that you’ve been there as well. If you have stories you’ve never told about bad things sort of happened to you at work, I encourage you to write those down. It’s called narrative medicine. Write those stories down. Get them out of your head. Get them out of your heart. It’s the beginning of being able to heal. So, burnout cause number one is simply the stresses associated with seeing patients. Burnout cause number two is the specific conditions of your individual job. So, seeing patients is difficult enough but then there’s all the things that stress you out about your specific job. Your salary, your duties, the team that you work with, your relationship with your boss. All of these things are like rings around your practice of medicine, whatever position that you are in in your organization that make everything even more difficult. And again, this is one of the stresses you don’t have experience with until you take a job. It’s also one of those stresses that you don’t have a lot of control over because a lot of times you’re only doing what you’re being told you have to do as part of your job description whether you’re a doctor or occupied, any other position in your organization. Stress number two, your specific job. Stress number three is having a life, all the things that happen outside of your job, outside of your career. Now, sometimes those things themselves are stressful and remember, if work is stressful for you, your larger life, home is where you’re supposed to recharge. But sometimes there are things that can happen at home that can make that difficult. Just think about it for a second. Having a baby, having a fourth baby, being an empty nester, getting sick, having your spouse or significant other get sick. How about your mom get sick and moves in with you? How about separation or divorce? There are just all sorts of things outside of your job, outside of seeing patients that can make it so you can’t recharge at home. And what happens is they show up as burnout at work. And they may right there and then divulge to you. You’ll be the only person who would know that their spouse or significant other left him two weeks ago. So, having a life and the things that happen outside of your job are burnout cause number three. Now, physician burnout cause number four is invisible that happens without you knowing it during the course of your training. And it’s your conditioning. It’s who you’re taught to become through your training process. This is fairly easy to recognize in doctors because we’re in training for 7 to 15 years depending on our specialty. And I know it’s present in nurses, medical assistants, anybody who deals with patients firsthand. Let me just line out some of the things I’ve noticed in my own physician coaching clients so that you can begin to notice it in yourself. There’s some skills that we’ve picked up early in our training that become hardwired in to who we are simply because nobody shows us the off switch. And here’s five of them that I have noticed. Workaholic. Lone ranger. Emotion-free. Perfectionist. Superhero. Those are the things that we have to learn as skills in the course of the training just to get the grades we needed to graduate. But what happens is they turn in to who we are overtime. Just talk to your spouse or significant other about superhero, lone ranger, perfectionist, and they’ll give you a quick elbow and say, “Oh, yeah, that’s you.” Now, that’s not all though, we also were taught to what I call prime directives, two laws that are rarely stated but we operate as if they’re true all the time. Law number one, I mentioned in an earlier video. It’s very simple and you can fill on the blank. “The patient comes…first.” Exactly. The patient comes first. Now, notice, remember the first law burnout, you can’t give what you ain’t got? Remember the energetic bank accounts? The patient cannot always come first. When you’re with the patient, they come first. But when you’re not with the patient, you have to put yourself first and your family first so you’ll never recharge your bank accounts. Here’s the second prime directive. It’s even deeper and even more powerful. It goes like this, never show weakness. Never show weakness. Think about it. If you don’t think that’s true for you, just do a little mind experiment with me. Remember back to the last rotation that you had to do in order to graduate from your training program. 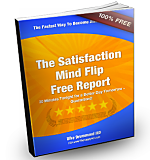 If your faculty member, your teacher had ever come up to you and said, “Hey, you look tired. Is everything okay?” What would you have said? Just like this. You just said, “I’m good.” Never show weakness. For doctors, hey, what? You got an admission? I’ll take two. They’re small. No matter how long it’s been since you slept or ate or used the bathroom, you would never show weakness. It’s part of that programming. Here’s the problem with that conditioning. It automatically makes it impossible for you to notice your own stress levels. It makes it impossible for us to ask for help or to offer help to somebody else. It creates a culture, this lone ranger culture where we’re all on our own even if bad things happened to us. I’m here to tell you that it doesn’t have to be that way. It just happens to be the way that we were all trained. The stresses of seeing patients. The stresses of your specific job. How are things going at home, are you able to recharge? Sometimes that can end to stress too. And lastly, there’s the conditioning of your educational process. Now, one of the first things to recognize is that you can change the stresses at work. And you can begin to recognize your programming. Your significant other certainly does. Whenever they’re elbowing you and telling you to knock it off, they’re probably pointing out some of these conditioning things like workaholic. If you think the only way to get things done is to work harder, you’re being a workaholic. So, recognize your programming. And especially the two prime directives. Know that the patient cannot always come first or you are guaranteed to burn out at some point. When you’re not with the patient, I’m going to show you way to shut this off so that you can recharge when you get back home again. And lastly, asking for helping, noticing if you’re not doing well and asking for help is not a sign of weakness. Even though it never happened in your training, we can learn how to ask for help. We can learn how to support each other. We can learn how to create a healthcare culture that prevents physician burnout when we learn to recognize this programming and behave differently than we did in our training programs. That’s it for Burnout Basics video number four. And video number five, I’m going to give you some specific steps that you can take if you believe that you’re suffering from physician burnout and some specific things you can do for that colleague that you’re thinking about right now, who you’re concerned about being burned out as well. Which one of these physician burnout causes is the one you run into most often? How do you keep your energy levels up in the face of these stressors?